The word satellite is a noun. Satellite means (1) man-made equipment that orbits around the earth or the moon, (2) any celestial body orbiting around a planet or star, (3) a person who follows or serves another. Satellite is also a verb that means (1) broadcast or disseminate via satellite. Satellite is also an adjective that means (1) surrounding and dominated by a central authority or power. The following articles and web pages elaborate on the word satellite. Visit this satellite equipment manufacturer directory for information about satellite equipment and systems manufacturers and wholesalers in the USA. The photo on this page shows a satellite dish on an office building roof. Weather satellites are used to monitor weather conditions on our planet. Learn more about weather satellites and find links to weather maps, forecasts, and weather alerts. The world's geographic information at your fingertips. Site includes satellite imagery, maps, terrain, and 3D buildings. At NASA's Earth Observatory, visitors can monitor regional and global changes on our planet. Here, NASA scientists explore the causes and effects of climatic and environmental change through the use of satellite data. Provides interactive maps and detailed satellite imagery of the United States, as well as driving directions. DISH Network is located in Englewood, Colorado. 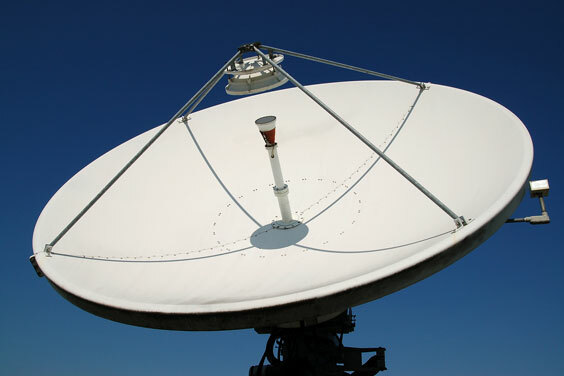 The company delivers Direct Broadcast Satellite (DBS) television products and services to customers worldwide. DISH offers many products including DISH on Demand, high speed Internet, parental locks, and other accessories. Information about all of its services and products and how to sign up for it are on the website. television, wire, satellite and cable. News Corporation is a diversified entertainment company with operations in 8 industry segments: filmed entertainment; television; cable network programming; direct broadcast satellite television; magazines and inserts; newspapers; book publishing; and other assets including MySpace, Rotten Tomatoes, Fox.com, and more. This interactive relief map and satellite map displays topographical and vegetation features. Names of countries, states, and major cities are shown, along with major roads at detailed zoom levels. The following articles provide recent satellite-related news. BBC News. Wednesday, 24 Apr 2019 23:01:03 GMT. The satellite radio broadcaster is trying to achieve synergy with its newly acquired internet radio business. By Josh Mandell, Contributor. Forbes. Wednesday, 24 Apr 2019 16:52:00 +0000. ABC News. Tuesday, 23 Apr 2019 23:38:42 -0400. Yahoo. Tuesday, 23 Apr 2019 08:00:00 -0400. Deforestation in Peru's Madre de Dios region is escalating at an alarming rate. Live Science. Monday, 22 Apr 2019 01:14:00 EDT. Washington Times. Sunday, 21 Apr 2019 09:00:44 -0400. Sky News. Friday, 19 Apr 2019 17:33:00 +0100. The following pages provide more extensive satellite news. Recent news stories about the topic satellites, aggregated from diverse, English-language news sources. Recent English-language tweets that include the hashtag satellites. The following digital image illustrates the word satellite.